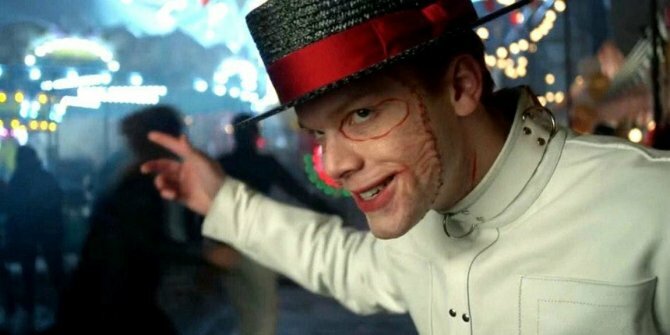 Before, it was always cool to hear whatever information pertained to appearances made by Jerome Valeska, the proto-Joker, but now the excitement has been kicked up a notch knowing how greatly he factors into the remainder of Gotham season 4. Not only that, but whatever that’ll entail is expected to yield events greatly influenced by some of the most definitive Batman stories to have been produced by the comic book medium. Just yesterday, we learned that the season finale will be titled “No Man’s Land,” which’ll obviously be influenced by the story that saw Gotham suffer the effects of a massive earthquake, with the U.S. government evacuating the city before leaving the metropolis to itself. Standing isolated with no bridges out of town, supervillains ran amok, with Batman and his allies doing their best to restore some kind of sanity. “I will say that the second-to-last episode of the season is called ‘One Bad Day’. That will be a little bit of an indication of how much we’re gonna be ingrained in the books, specifically the No Mans Land storyline. I don’t want to say what it exactly is for the people that haven’t read it yet, but if you have read it, you know what it is, and the show is going there. And we’re picking up the pace in a way that the show has never gone, done before. It’s getting real. After reading that, it’s hard not to think that The Killing Joke‘s influence won’t continue being felt. I mean, after learning that this season’s penultimate episode is titled “One Bad Day,” one has to believe that may very well be when we see the true emergence of the Joker. Time will tell, of course, but we’ve come to learn that these titles aren’t being used by accident.